Blue Osa Yoga Retreat & Spa is a tropical beachfront paradise to renew your mind, body and spirit—in the heart of one of the most biodiverse places on Earth. At Blue Osa, we offer tailor-made retreat getaways for individuals, groups and retreat leaders. Practice yoga with spectacular ocean views from our open-air studio. Rejuvenate with luxurious eco-spa therapies. Get inspired with adventure excursions in Costa Rica’s lush jungles and beaches. Your sanctuary retreat begins the moment you walk through our gates. The Blue Osa experience includes elegant and eco-friendly accommodation, a world-class yoga studio, a chlorine-free pool, and fresh farm-to-table cuisine. All that, only 50 meters from a pristine and remote palm-fringed beach. All rates include breakfast, lunch and dinner, harvested from our organic garden. What would it be like to have a vacation where the only decision you had to make was beach, yoga or hammock? Book the dates that work best for your schedule, then let us help you create your dream yoga + spa retreat for ultimate alignment and healing. Choose from one of our All-Inclusive Packages, or create your own bespoke retreat experience. Join a group yoga retreat at Blue Osa, hosted by world-class instructors from around the world. From Iyengar to Meditation to Tantric Yoga retreats, there’s an intimate group yoga experience for everyone. 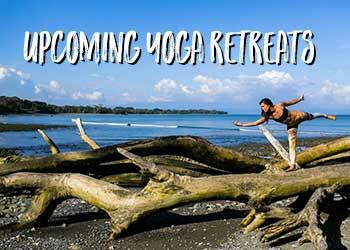 Browse our upcoming yoga retreats to find the dates and theme that resonate with you and your goals. A yoga teacher training intensive gives you the space to go deep, experience profound transformation and leave as a certified yoga instructor. Join Yogi Aaron and other renowned yoga leaders at Blue Osa for a yoga teacher training immersion. Uncover your life’s purpose, replenish your spirit—and share the gift of yoga with the world. Learn more about our many Yoga Teacher Training Immersion options. A visit to Blue Osa is more than just a vacation—it’s an opportunity for deep transformation and total mind-body-spirit revitalization. We’ve curated a variety of packages to ensure your week with us is a profound life-changing experience. Choose from the following packages, or use them as inspiration to create the perfect itinerary for you. If you don’t want to browse our All-Inclusive Wellness Getaways, you can go directly to our reservations system here. Our holistic approach to a Detox Retreat promotes total physical and emotional wellness. 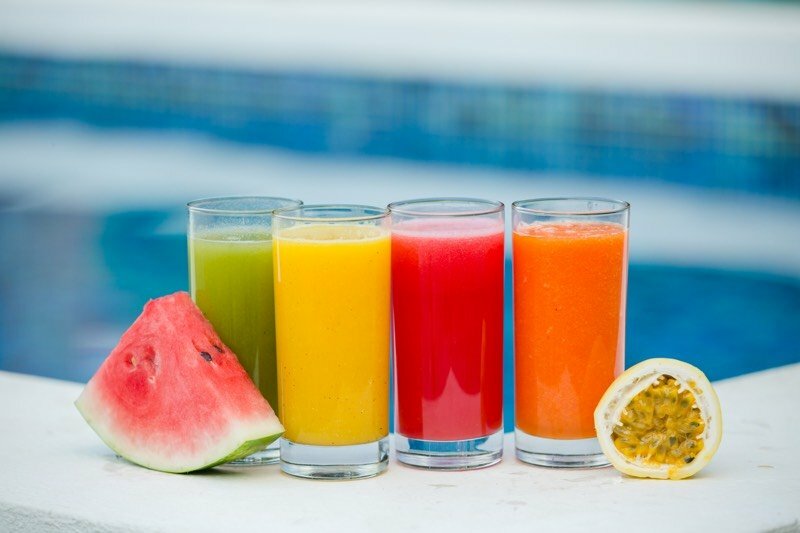 Shed layers of toxins and deeply purify your body through daily meditation, yoga practices, juicing treatments, bodywork and vegan farm-to-table meals. 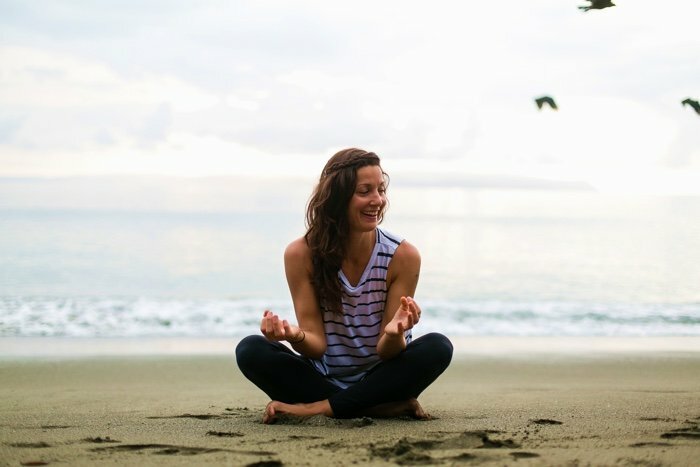 The healing energy of Costa Rica—along with our comfortable eco-chic accommodation—ensure you return home from your life-shifting vacation ready to take on the world with new alignment and focus. 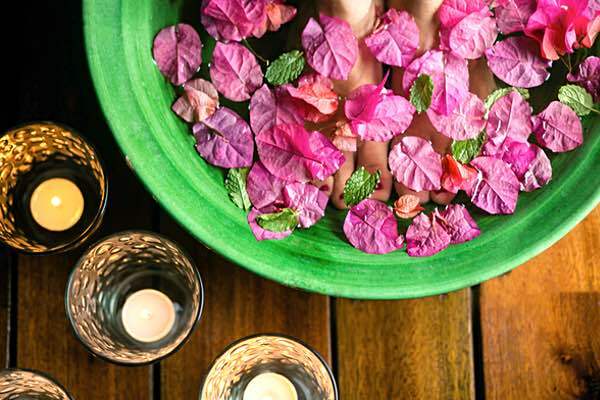 Indulge in Costa Rica’s bountiful healing properties as you pamper yourself with luscious bodywork treatments—inspired by the purity of our natural surroundings. Through local rainforest botanicals and Ayurvedic healing modalities, this personalized spa retreat will target individual ailments while promoting change for long-lasting wellness. 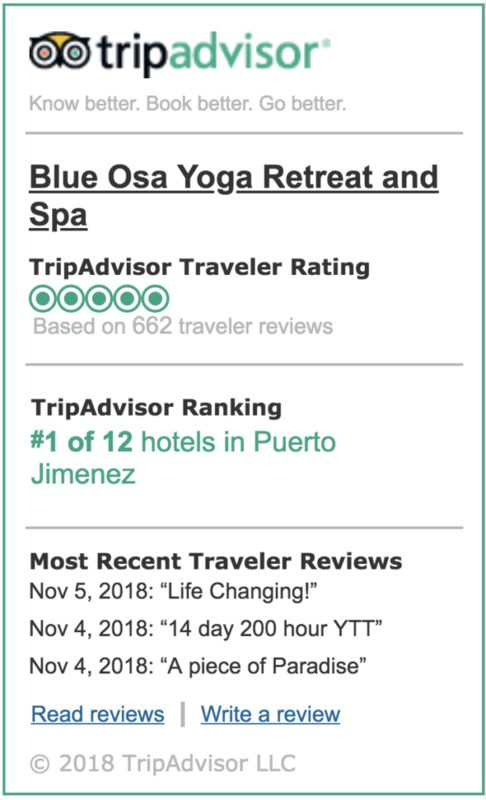 Whether you want to develop a personal yoga practice, improve alignment or learn new poses and breathwork, when you take part in a private yoga vacation at Blue Osa, you’ll leave with increased strength, stability and confidence in your life’s path. Our private yoga retreats are custom-crafted to your level and needs to ensure a transformative one-on-one yoga experience. Our unique location in one of the most biodiverse places on Earth means you can enjoy thrilling excursions in the surrounding beaches and jungle—without forgoing our farm-to-table meals, eco-spa treatments and world-renowned yoga classes. This package is ideal if you want to combine adventure and rejuvenation all the while surrounded by the natural abundance of the Osa Peninsula. Travel brings power and love back to your life.